This is a stationary summer ride with relaxing full days riding from Navarredonda de Gredos to different direction every day, changing landscapes and opportunities for swimming in the crystalline waters of Gredos Mountains. One day in the middle of the week we ride on a minitrail to a different village. 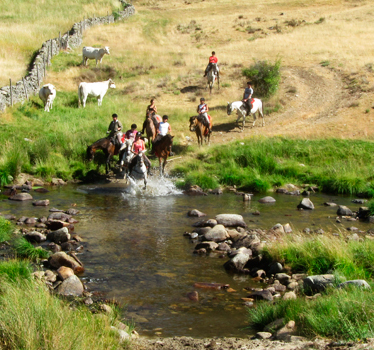 The summer in Gredos is perfect for excellent riding holidays due to the altitude, Navarredonda is at 1,600 m, so even in July or August is not hot for full days riding and perfect for swimming in the fresh waters at lunch stops.